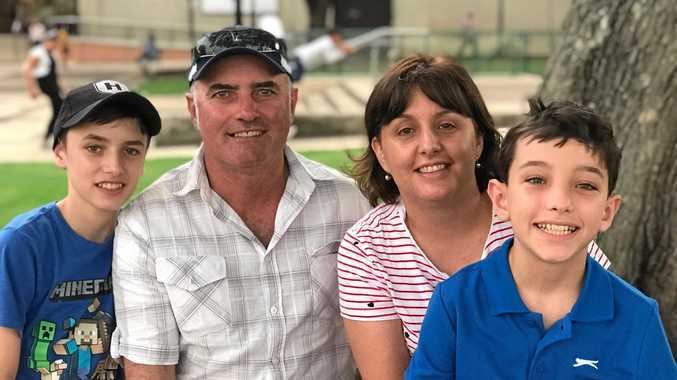 It is Father's Day on Sunday, time to spoil your dad - and there's no better way than cooking him breakfast (and cleaning up afterwards). 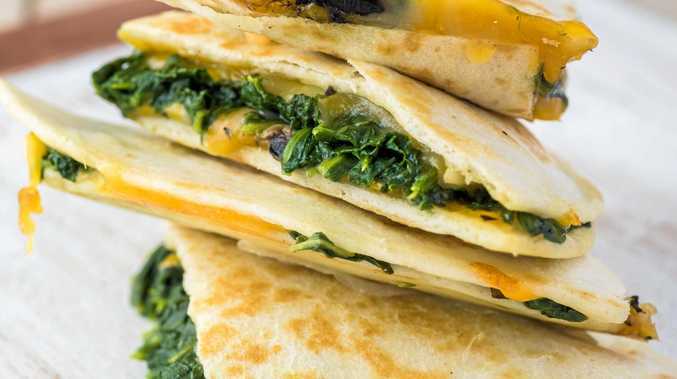 This recipe, spinach and cheese quesadillas (pronounced kay-suh-dee-yahs) is a Mexican-inspired breakfast dish that is tasty and filling and also ticks the boxes if your dad is a vegetarian. Even if he's not, this is a great way to start the day. To make the recipe easier you can use pre-grated tasty cheese and Parmesan from the dairy section of the supermarket - the feta is available in blocks and can be easily crumbled using your fingers. Melt one tablespoon of the butter in a large frypan over low heat. Add spinach and cook, stirring, until wilted (about 2 minutes). Stir in cheeses and season with the pepper. Remove from heat and drain off excess moisture. Spread two of the tortillas with half the salsa. Pile the spinach mixture on each one, leaving a 1cm gap around the edge. Brush the edges with the egg and place the other tortillas on top of each. Press down the edges to seal. Wipe the frypan with a paper towel and return to the heat. Add remaining butter and melt over medium heat. Carefully place the quesadillas in the pan. Cook for 1-2 minutes each side. You may need to cook each separately, depending on your frypan's size. Carefully slide each out onto a cutting board and slice in half. Put each half on a separate plate and serve with the remaining taco sauce and some avocado on the side, if desired. Variations: Add some fresh coriander leaves when serving. Cook some sliced button mushrooms or diced bacon with the spinach.